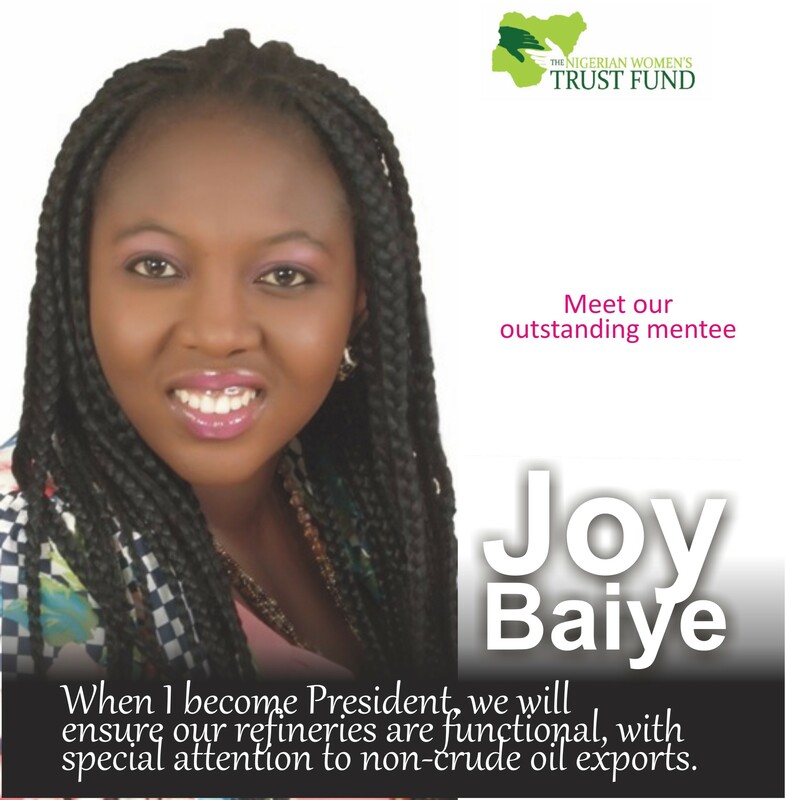 The Young Women Leadership Project (YWLP) is aimed at empowering young women in post- secondary school across various states in Nigeria with the necessary skills and expertise in advocacy, organizing, and with the leadership prowess needed to actively and energetically participate in leadership and politics. The project will build leadership proficiency in young women with the fundamental goal of preparing a successor generation of women leaders who have the strategic propensity to be responsive and responsible leaders to engage the political system and subsequently contest and win elections in the nearest future. Activities in the Project include leadership training workshops, learning visits, advocacy engagement, community organizing, and peer mentoring. The young women leaders visited the nearby community of Autabalafi of Kodape village on the 19th of March, 2016 and held a town hall meeting with the community. The meeting was attended by young women and older women along with the village head – Chief Kure Feni – and interpreter. The event was coordinated by the young women leaders with the supervision of the Nigerian Women Trust Fund; the young women leaders took turn to facilitate different sessions on the Young Women Leadership Project; the Objectives of the visit; Women’s participation in decision making in the community; the communities stance on girl-child education and early marriage; the development challenges facing young women in the community; and how to present these challenges to the representative of the community for intervention. Several women and young women spoke on development challenges faced by the communityThe inability of most young women to further their education to higher institution of learning.The lack of economic power – most of the young women are in need of employment while others lack adequate skills and resources to be self-employed. Young women participation in politics and decision-making in the community is low and almost non-existent. These were presented to the legislator representing the community. Young women leaders from Bingham University went to Auatabalafi community for an advocacy visit to Honourable Jonathan Gaza Gbefwi, member of House of Representatives representing Keffi/Karu/Kokona constituency and Deputy Chairperson on the House Committee on Media and Publicity. The aim of the visit was to create an opportunity for the young women to have a face-to-face interaction with a representative of the people in order to develop legislator-constituency skills. The visit was also to initiate legislator-constituency relationship for Autabalafi as well as present a request for intervention in the development challenges in the community. Deborah Babatunde presented the letter of request, outlining the 3 development issues facing young women in the Autabalafi community: The inability of most young women to further their education to higher institution of learning; the lack of economic power – most of the young women are in need of employment while others lack adequate skills and resources to be self-employed; young women participation in politics and decision-making in the community is low and almost non-existent. Hon. Jonathan promised to address two of the requests: he will establish a skill acquisition center in Autabalafi and enroll the young women leaders as well as young women from the community in his volunteer group – to improve their political participation. Selected young women leaders led representatives of Ekota community to the Chairperson of Lavun Local Government. The aim of the visit was to develop the skills of the young women in engaging community representatives in government for accountability. The visit was also aimed at requesting for the interventions of the local government chairperson in development challenges in Ekota which is under constituency of the local government chairperson. In the meeting was Hon. YakubuIsha – Chairperson of Lavun Local Government, Hon. Ahmed Dabban – Vice Chair, Hon. 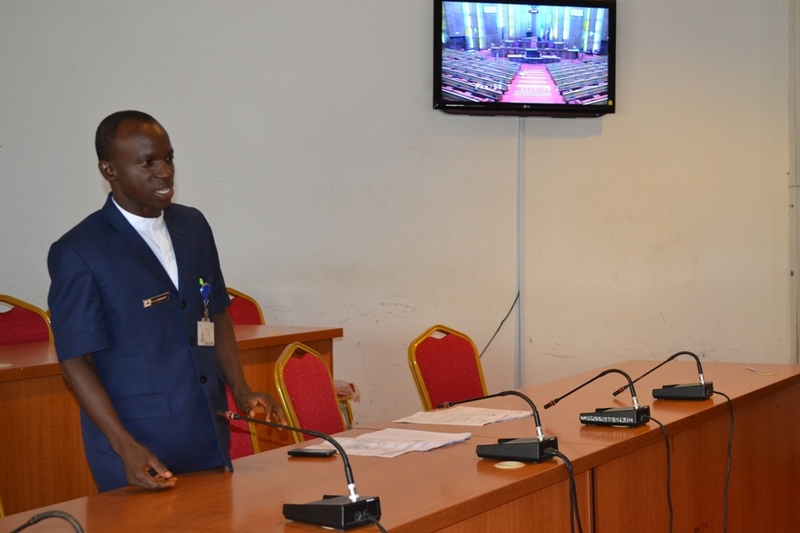 Ibrahim Haruna – Head of the Councillors and HawawuAliyu – Personal Asst. to the Chairperson. 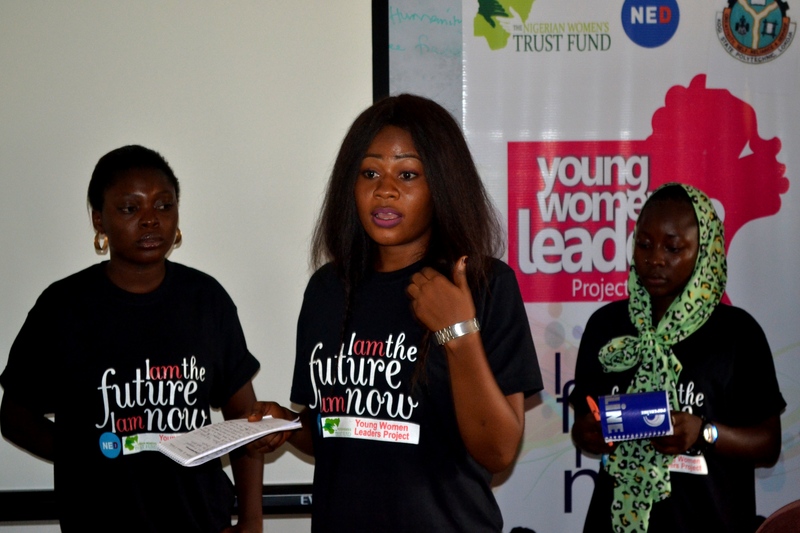 The young women leaders briefed the representatives on the rationale of the Young Women Leaders project and the accomplishments so far, referring to its replica in Bingham University. The young women further engaged the representatives on the importance of a continual relationship between elected public officers and the communities and constituencies they represent. Halima presented the request from the community, outlining the following as development challenges that need immediate intervention: the absence of schools in Ekota; lack of basic amenities especially drinkable water; the lack of livelihood skills and high rate of unemployment; low participation of young women in politics. The Chairperson promised that all the issues will be looked into and establishment of a school in Ekota will commence immediately. 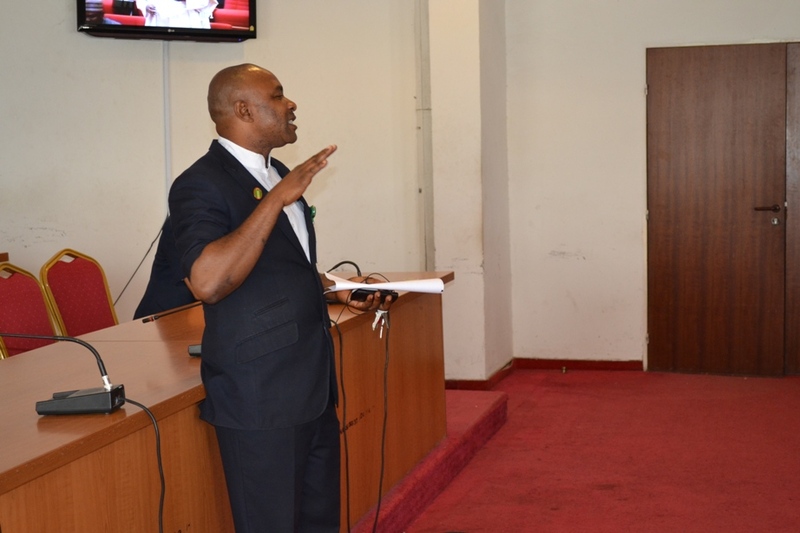 The representatives from the communities also spoke on the need for continual engagements on development challenges. Young Women Leaders from Bingham University and Federal Polytechnic, Bida went to the National Assembly for a learning visit to the Senate and House of Representatives. The aim of the learning trip was to improve the young women leader’s knowledge on the structure and functions of the National Assembly and the rules of the proceedings on the floor of both houses. It was also meant to inspire the young women and fan the embers of the desire to be great leaders. A press conference to round off the Young Women Leadership Project in Keffi and Bida was held. The aim of the Press Conference was to present the young women leaders to the press and present prizes to the winners of the essay competition. 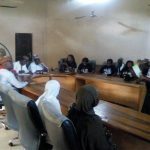 The press conference was attended by representatives of the young women leaders from Bida in Niger State and Keffi in Nasarawa state and members of the press – TVC, Radio Nigeria, Nigeria Info FM, Leadership Newspaper, Guardian Newspaper and Blueprint Newspaper. The essay competition was opened to the young women leaders only – Bida and Keffi. 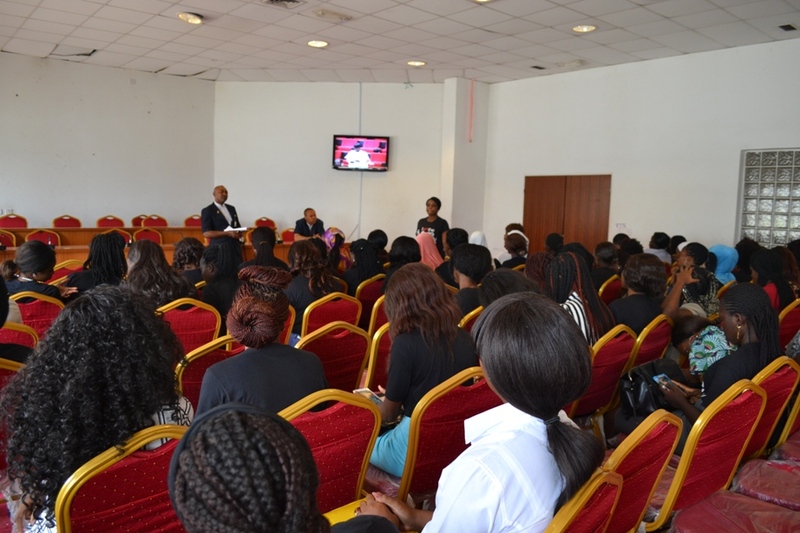 The topic was: ‘Are women good enough to run for election?’ The Judges – Ben Fadare, Maryam Mallim and Patience Ihejirika marked the scripts on the following criteria: content, organisation, mechanical accuracy. NnekaMaduagwu emerged the Winner, with Deborah Babatunde and AgahNguvan as 1st runner up and 2nd runner up respectively. During the press conference, the press were enlightened on the rationale for the Young Women Leadership project and its funder, NED. Emphasis was on the fact that this is the first time young women are leading communities to engage their legislators for interventions in development issues. The press was also informed of the #MyBoldSteps campaign, which the young women will be participating in as part of our sustainability plan. The young women with privileged backgrounds are passionate about rural community development and are concerned about what happen in remote villages. 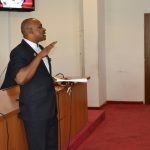 Some male folks in the community – in the case of Kure of Autabalafi and Kogi – are open to inclusion but the absence of legal provisions and policies in a patriarchal society makes this difficult. 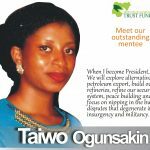 Young women have the passion to become great leaders but the violent and unscrupulous nature of Nigerian politics and societal influence is a huge deterrent. Language was a barrier in some cases but we implored the assistance of interpreters. Busy schedule of legislators and elected officials made difficult to secure appointments for advocacy visits. The young women had to use their t-shirts at several occasions throughout the cycle of the project; some t-shirts become old and faded.